Saujana Aster is a freehold condominium located in Precinct 11 at Putrajaya. 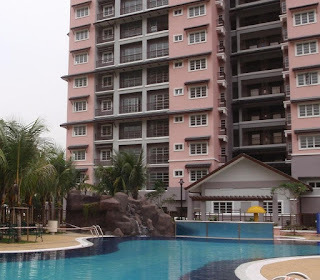 Saujana Aster consists of two blocks with a total of 226 apartment units. Each apartment has a built-up area measuring from 875 sq.ft. to 1,425 sq.ft. comes with three or four bedrooms types. There are 7 layout types to choose from. This low density condominium has only 8 units on each floor. Built-up Area : 875 sq.ft. - 1,425 sq.ft.